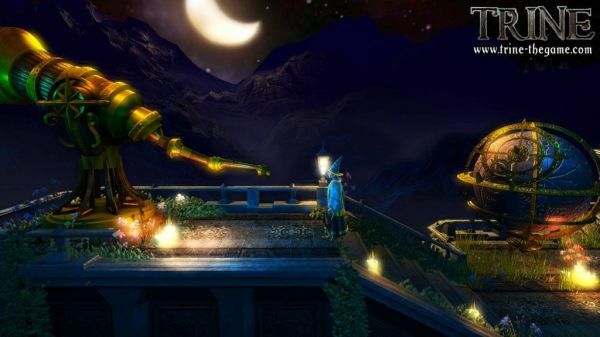 We've been enjoying Trine on our PC for the past month, despite a small glitch. PlayStation 3 owners are chomping at the bit to get their hands on the physics based platformer, and unfortunately, it looks like they'll be waiting a bit longer. One of the game's developers commented on the official boards this week that the game won't be coming out on PSN this Thursday along with the other releases. In fact, they really aren't quite sure when it's coming out. Unfortunately, Trine isn’t coming to PSN this week, and this time it’s our fault as there was discovered yet another small bug which needed to be fixed. I can’t tell for sure when the release is coming, as no-one really seems to know. Also, I have no idea are EU and NA releases timed differently. For us, not knowing is also a bit tough, but I hope it’s eventually worth all the waiting. It's really a shame that console politics has gotten so bad that the game's own developers aren't privy to info on to when their title will be released. This seems to be an issue on both the Xbox Live Arcade and PlayStation Network. It was just last week that Splosion Man was dumped up two weeks on developer Twisted Pixel. That didn't play nice with their marketing department, especially since it happened two days before release.